At The Wall Center for Plastic Surgery, patients find a family team of surgeons with an extraordinary commitment to their patients, their community, and the discipline of plastic surgery. Dr. Simeon Wall Jr. and his fellow surgeons bring a wealth of education, training, and experience to each patient, combining uncompromisingly high standards with personalized service. The staff of The Wall Center treats each and every plastic surgery patient as they would treat their own friends and family. Simeon Jr.’s goal is to exceed patient expectations with leading-edge surgical techniques in breast enhancement, body contouring, facial rejuvenation, and nose reshaping. He is renowned in the plastic surgery community for developing SAFELipo comprehensive body contouring that has been adopted by surgeons worldwide and is widely regarded as the future of body contouring. 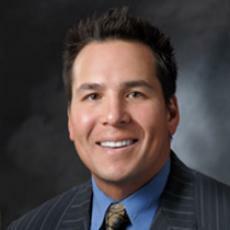 He is committed to offering his patients a remarkable plastic surgery experience and outcome. Dr. Simeon Wall Jr., and his fellow surgeons and staff offer a full range of aesthetic procedures for the face and body for patients from Louisiana, Arkansas, Texas, and beyond. They perform breast augmentation and lift, fat grafting, liposuction, tummy tuck, mommy makeover, face lift, eyelid surgery, ear surgery, rhinoplasty, and many more surgeries, including Simeon Jr.’s proprietary SAFELipo technique of comprehensive body contouring. Additionally, The Wall Center’s Jade MediSpa offers numerous non-invasive treatments such as light and laser skin rejuvenation, dermal fillers, BOTOX Cosmetic, Coolsculpting?, chemical peels, and more.